Sharing an audio book with your child or teen, can be one of the most rewarding ways to spend time together. These July releases will point you in the right direction. 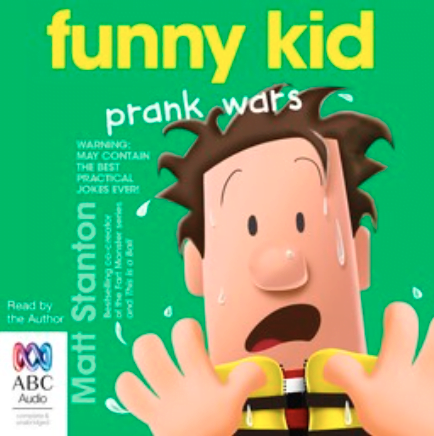 For fans of Diary of a Wimpy Kidand Tom Gates, Funny Kidis the mega-bestseller from author-illustrator Matt Stanton. Every kid wants to laugh, but Max is the boy who can make it happen. As he and his classmates head off on a camping trip, the new boy, Tyson, decides to play some jokes of his own. Max is the funny kid … and now there’s a prank war to be won! Monsters in the lake, smuggling ducks, dig-your-own toilets, capsizing canoes, absolutely not falling in love and beans that give you the runs are just some of the things in store for Max and his friends in this brand-new adventure. John Flanagan makes a spectacular return to the world of Ranger’s Apprentice with the revelation of a conspiracy that could end the Kingdom! 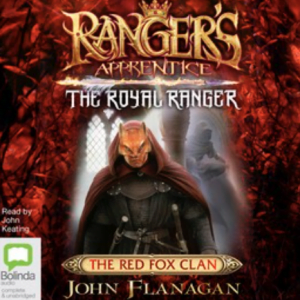 John Flanagan returns to the world of Ranger’s Apprentice to find out what happens when Will’s apprentice, Maddie – the Royal Ranger – returns home to Castle Araluen. The Kingdom may have been at peace for a number of years, but there are always those who would commit treason to take power for themselves. When Maddie learns of a plot against the crown, she must go undercover to find out more – and hopefully stop it. But going undercover isn’t easy when you’re the princess – even if you’re trained as a Ranger. Following on from Ranger’s Apprentice: The Royal Ranger is a second book of Maddie’s adventures. Princess by day, Ranger’s apprentice by night, Maddie must keep her identity secret at all costs, for the sake of the Kingdom. 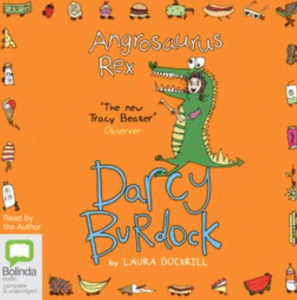 The fifth bright, hilarious and totally original Darcy Burdock story from Laura Dockrill. Ten-year-old Darcy Burdock is one of life’s noticers. She sees the extraordinary in the everyday, and the wonder in the world around her. In Darcy’s fifth story, it’s the summer holidays and Darcy is not impressed that her family haven’t gone to Hawaii like she wanted. Her best friend Will has abandoned her. Worst of all, Darcy has to pack up all her things ready for moving house. 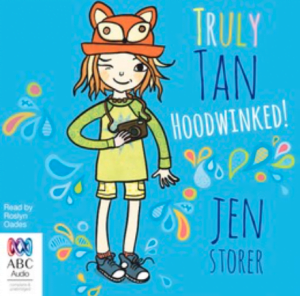 But Darcy is not going to throw a temper tantrum, as much as she wants to, because she’s set herself the hardest challenge of her whole entire life: for the next six weeks, Darcy is not going to be dramatic. AT ALL!